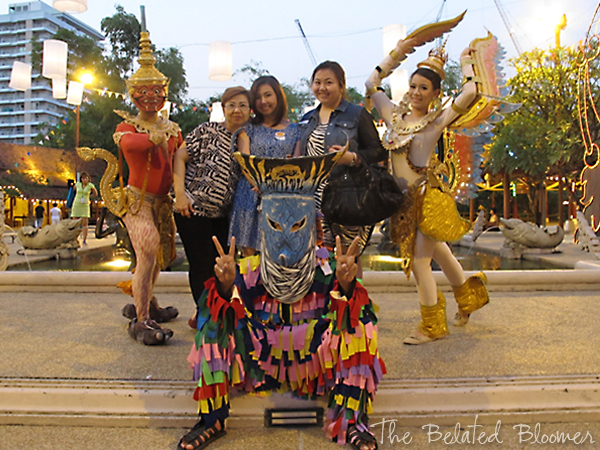 On our first night there, we went to a cultural center to watch the award-winning cultural show, Siam Niramit. We were welcomed by lovely ladies in traditional costumes and then we wandered around small huts to see the showcase of some of their native food and products. 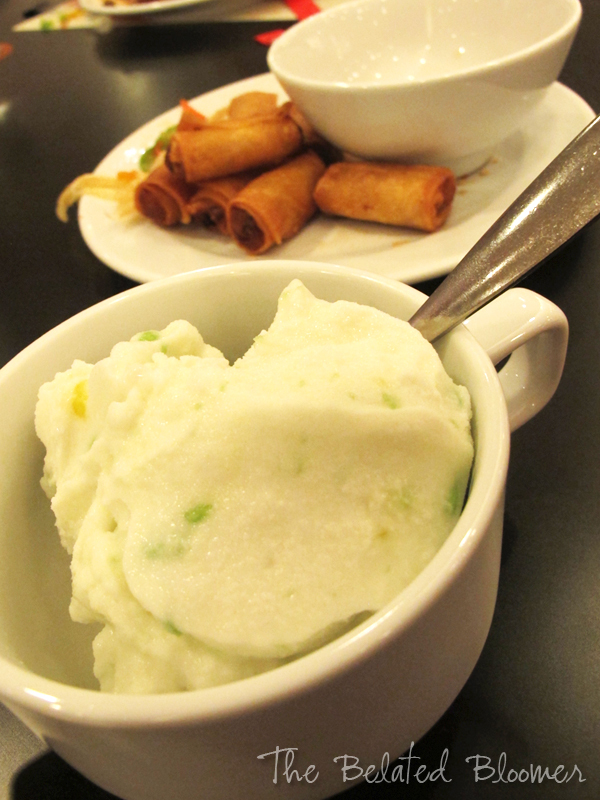 A free sampling of one of their local delicacies. 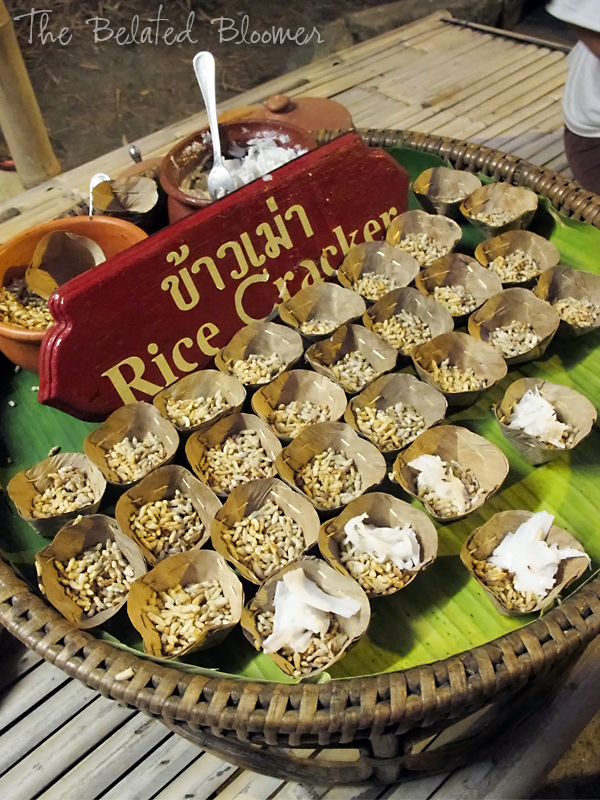 Toasted crispy rice, tasting very much like our pinipig, is topped with shavings of sweetened coconut. 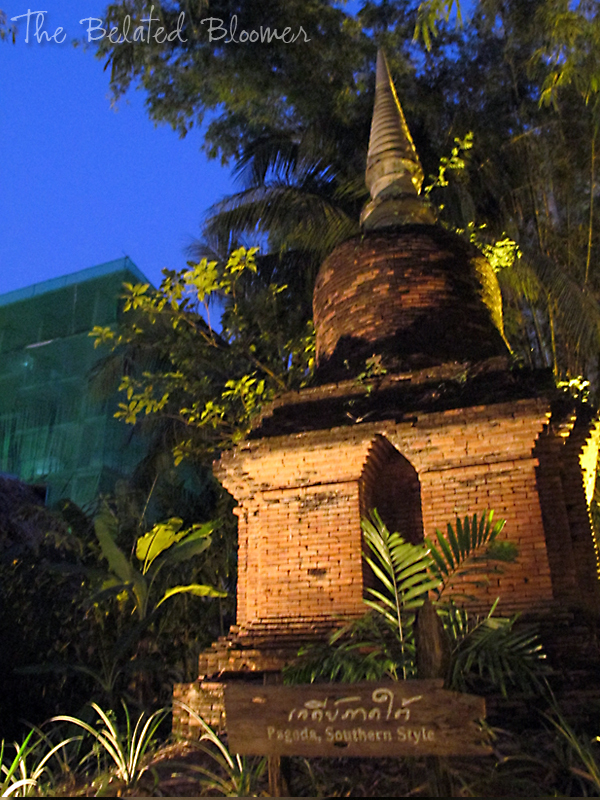 A replica of a Thai Pagoda. Pagodas are often structures built for religious purposes. 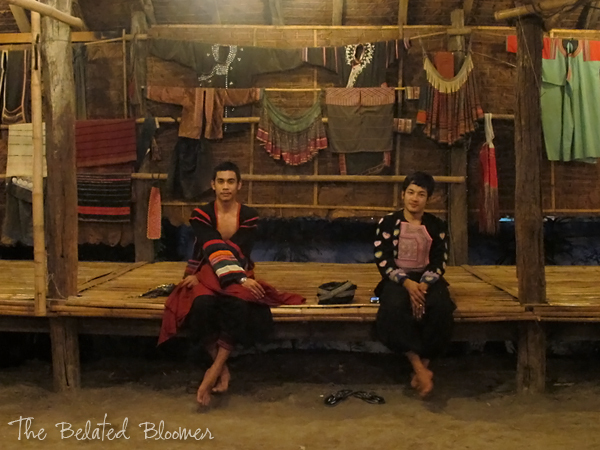 These lads were garbed in traditional Thai costumes of richly textured woven fabrics. 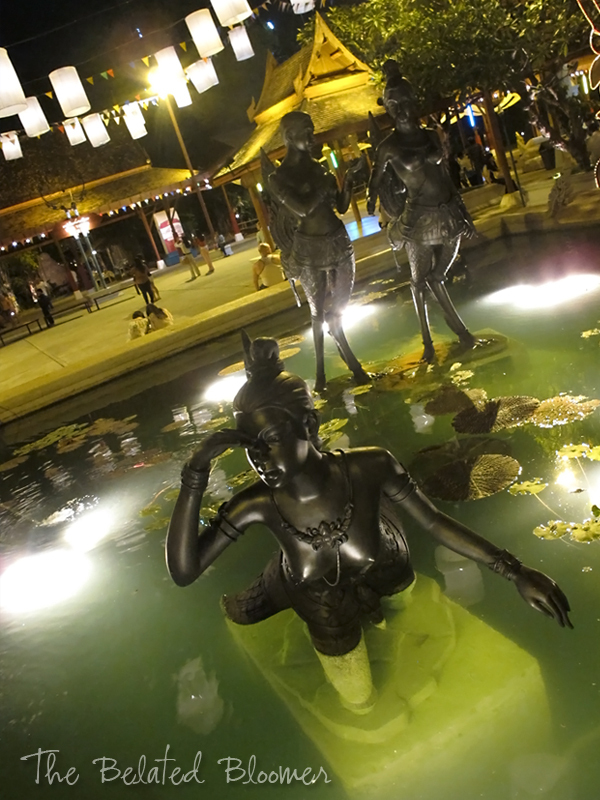 Mystical statues guarding the big pool in the center of the plaza. This is the only shot where you can have a glimpse of the colorful costumes that these dancers/actors wore in the Siam Niramit show. We weren't allowed to bring our cameras inside, but believe me when I say it's definitely worth watching. 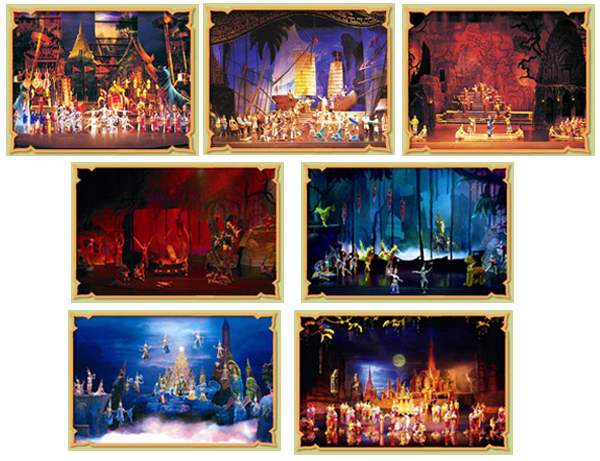 The lighting, the choreography, the colorful and extravagant costumes, the numerous changing sets, the water fountains, the acrobatics and other mesmerizing elements comprise a show that goes through history and beyond. 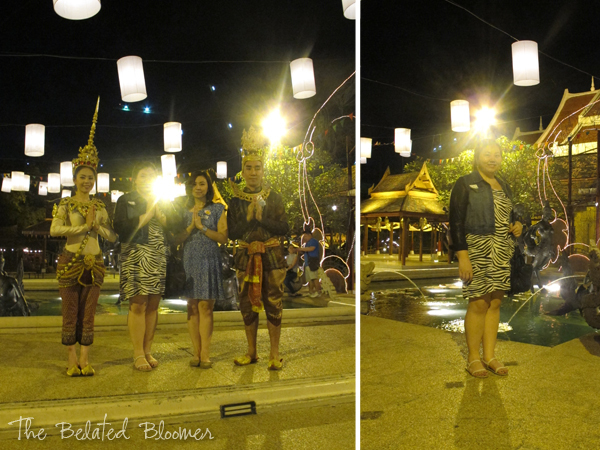 Do you want to know how "enlightened" I was after the show? See the evidence for yourself! These are some amazing pics!! Love your outfit too! i cannot wait to see the food photos! Unfortunately, I only have a handful of those. We were too hungry most of the time to take pictures before eating. Sorry! This looks like such an amazing trip! I hope you had a wonderful time! These are great photos; I hope you have a great rest of the trip! By the way, I keep looking back at your sandals in the first picture---I love how simple they look. Where are they from? Hi Brittney! They're from Hush Puppies. :) I have them in red too! Thanks Levi! It's definitely worth a visit! 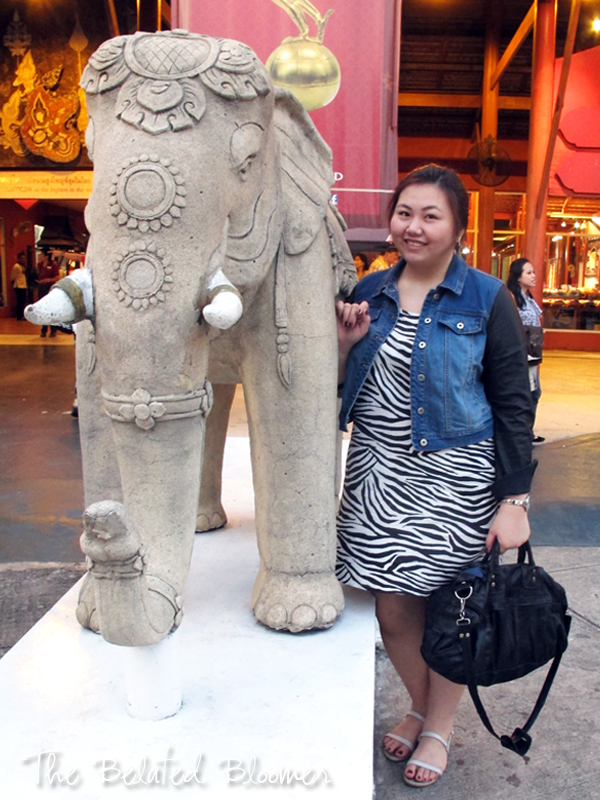 They have a rich culture and history too! :D Thanks Katherine! Lovely pictures! I love your outfit, very cute. Me too! It was sooo good! I love your zebra print dress. Looks like you had an amazing time!